Counselling can help you with problems coping with study or university life, stress and anxiety or depression, loneliness, drug and alcohol abuse and addictions, negative feeling or suicidal thoughts, relationship or family issues. Listening is important when helping a friend through hard times, but sometimes they need more help than you can give. South Eastern Centre Against Sexual Assault (SECASA) provides therapeutic counselling and support to survivors of sexual assault or family violence. Monash staff can receive free counselling (up to six sessions). This service is provided by an external provider through the Monash Employee Assistance Program (EAP). It's also available to immediate family members. The cost is free for up to six sessions. Students can also access free after hours counselling. See the contact details below. 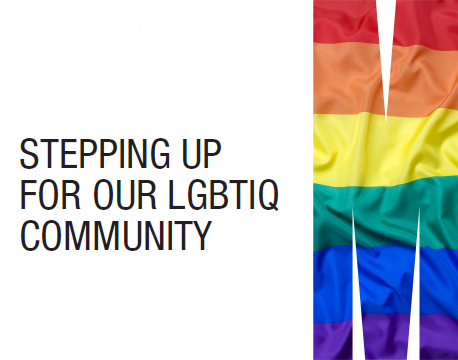 Our counselling services support LGBTIQ students and staff. Visit the Ally Network for counselling staff who are registered LGBTIQ allies.